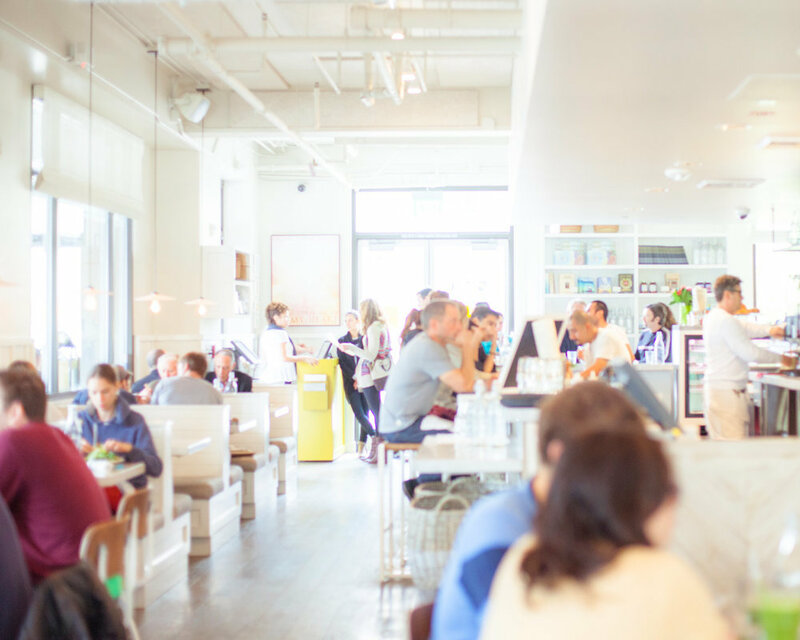 Café Gratitude is our expression of a world of plenty. Our food and people are a celebration of our aliveness. We select the finest ingredients to honor the earth and ourselves, as we are one and the same. We support local farmers, sustainable and regenerative agriculture, and environmentally friendly products. Our food is prepared with love. We invite you to step inside and enjoy being someone that chooses: loving your life, adoring yourself, accepting the world, being generous and grateful every day, and experiencing being provided for. Have fun and enjoy being nourished. 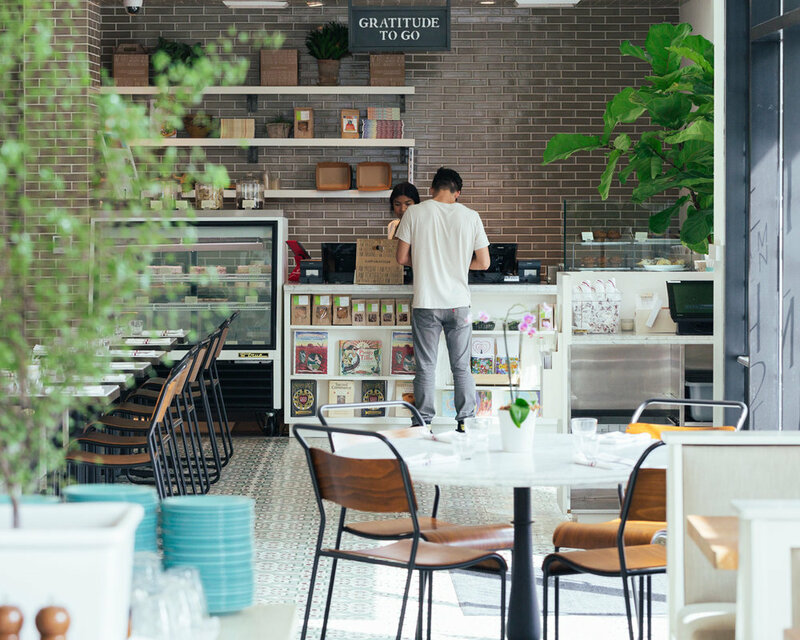 Welcome to Café Gratitude! Our commitment is that our food, service and environment awakens you into a state of gratitude. Always organic, we strive to source the highest quality, nutrient dense ingredients from local farmers and the best artisan producers. We believe food is medicine. Chef Seizan Dreux Ellis oversees the development and execution of the organic, plant-based menu at all Café Gratitude restaurants in Southern California. In April 2012, Dreux came to Venice, California as Executive Chef of Cafe Gratitude in Southern California bringing his health-based, flavor driven cuisine to a wider audience. He now oversees the culinary direction at all the restaurants in the region, including Arts District, Larchmont Village, Venice, and San Diego, and the new upscale iteration of the iconic restaurant, Gratitude, in Newport Beach and Beverly Hills. 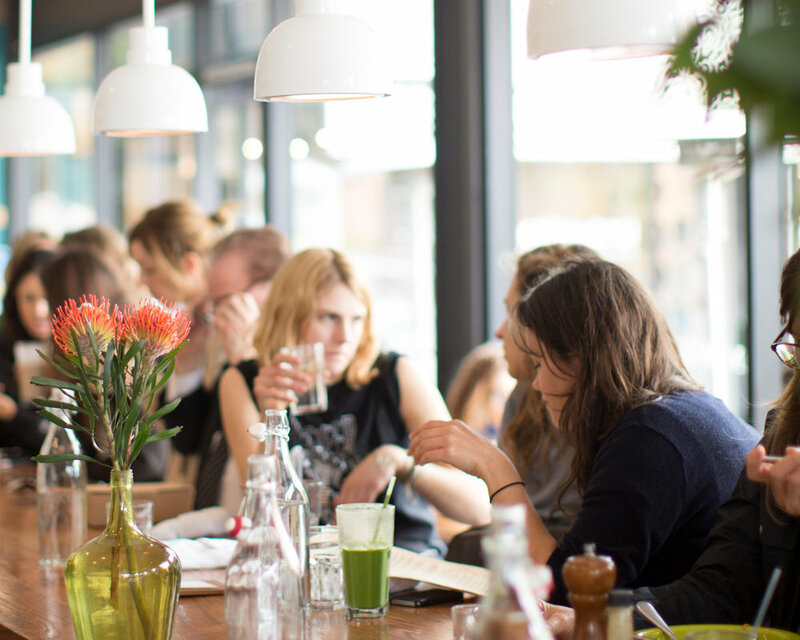 Our commitment is that our food, service and environment awakens you into a state of gratitude. We strive to source the highest quality, nutrient dense ingredients from local farmers and the best artisan producers. We believe food is medicine. Chef Seizan Dreux Ellis oversees the development and execution of the plant-based menu at all Café Gratitude restaurants in Southern California. In April 2012, Dreux came to Venice, California as Executive Chef of Cafe Gratitude in Southern California bringing his health-based, flavor driven cuisine to a wider audience. He now oversees the culinary direction at all the restaurants in the region, including Arts District, Larchmont Village, Venice, and San Diego, and the new upscale iteration of the iconic restaurant, Gratitude, in Newport Beach and Beverly Hills. A curated and balanced menu of bowls, salads, pressed juices and herbal tonics designed for a seamless transition to a plant-based diet. Experience a feeling of lightness and renewal among other health benefits by eating gluten-free, plant-based ingredients. Designed for experienced cleansers to boost metabolism, balance digestion, support toxin removal from the liver and kidneys, revitalize the skin’s natural glow, and strengthen the immune system. Our raw juices are made with the highest quality produce.